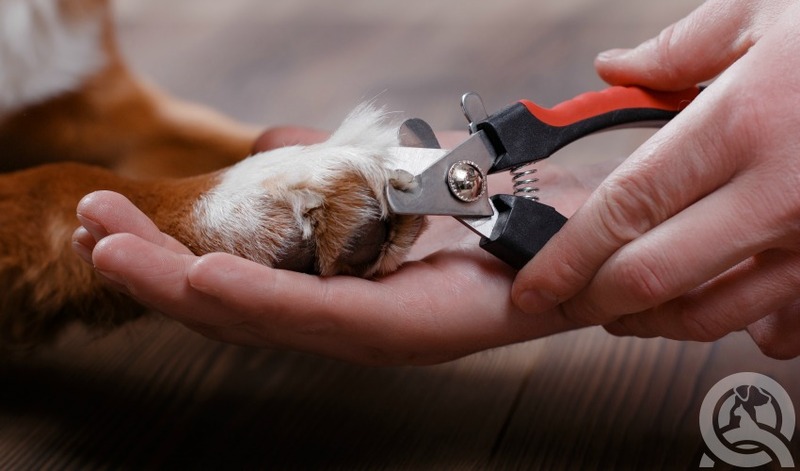 There’s no denying that dog grooming is one of the most rewarding careers out there. But, that doesn’t mean it’s always easy. It’s not enough to simply understand animal behavior. You also have to be able to manage it, and not just for the dog! Working with pet owners can be just as, if not more, difficult. QC Pet Studies’ key instructor, Lisa Day, has over 40 years of experience, having grown up in the industry. She is extremely accomplished—earning several awards for show dog grooming! The information in this article is pulled directly from our phone interview with Lisa about her experience working with her canine and human clients. Keep reading for exclusive insights on how to deal with difficult dogs… and difficult owners. Having access to someone who can answer your questions is important at the beginning of your career. When it comes to understanding how to manage dog behavior, learning by observation is essential! 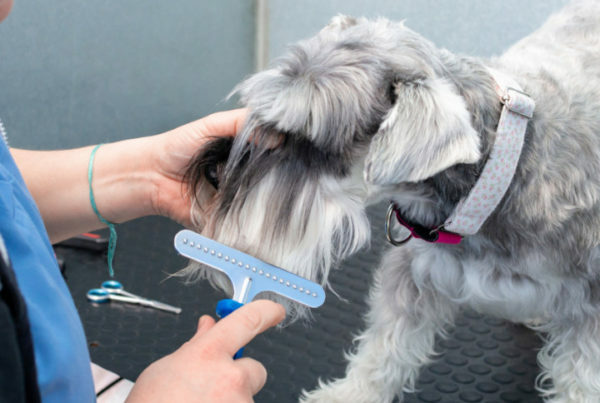 For your first groom, you’ll need an experienced groomer to watch over you. 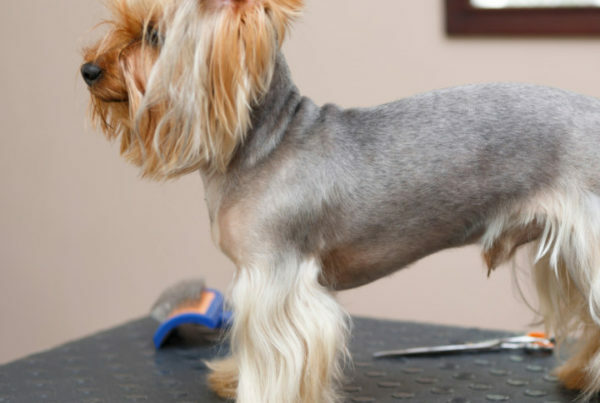 Grooming dogs can be dangerous if you don’t know what you’re doing. When scary situations occur, a mistake could mean that someone gets hurt. And usually, it’s your doggie client whose safety is compromised. Having a mentor present is especially important when it comes to dealing with difficult dogs. You learn a lot by experience, but first, you need a competent teacher who can show you the ropes. Watching how a professional groomer handles the scenario is necessary when you’re first starting out. 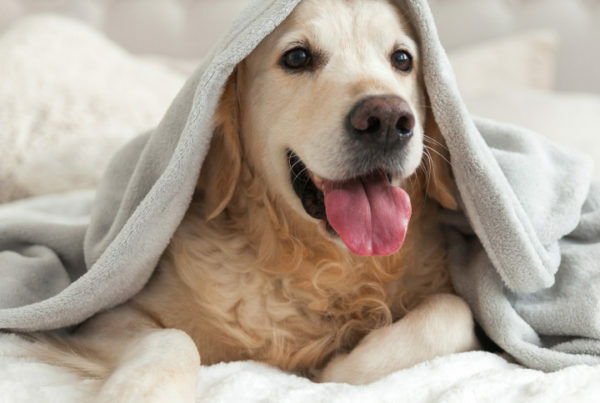 When working with these kinds of temperaments and behaviors, you need a calm demeanor—your doggie clients are incredibly intuitive! They’ll sense when you’re not confident. The learning process won’t take place in a vacuum. You need the hands-on experience of working with real dogs in real life scenarios. That’s why it’s so important to see before you do! You may think that handling the dogs is the easiest part of the groom. I mean, who doesn’t love to pet a dog, right? But so much can go wrong. For example, putting a muzzle on a dog that’s snapping at you can feel like an impossible task. How are you supposed to get the muzzle on if you can’t even get near their face? And yet, it needs to get done! Otherwise, you won’t be able to safely perform the groom and you’ll lose out on your income. A lot of the time dogs act out because they’re scared. Take charge and let the dog know that everything is going to be okay. If you’re not able to communicate that you’re in control and that they’re going to be fine, the dog likely won’t cooperate. Being in constant fear that you won’t be able to control their behavior in order to complete the groom will increase your chances of getting bit. Self-fulfilling prophecies are real! It’s natural to be fearful in these situations. At the same time, you have to tell yourself that you can’t be fearful. It sounds impossible but it’s not. Being confident and in control when dealing with dogs comes with practice and from watching your experienced mentors. This may sound foolish, but Lisa swears by it! By holding a dialogue in your head between yourself and your doggie client, your body language changes. Actions speak louder than words! By communicating confidence with your body, the dog is able to understand and respond much faster. Dogs can sense when you are uncomfortable through body language. Simply laying a hand on the dog and letting them know that they need to stop fighting can impart a calming effect on the entire situation. Lisa says that this even works on some of her student groomers, too. 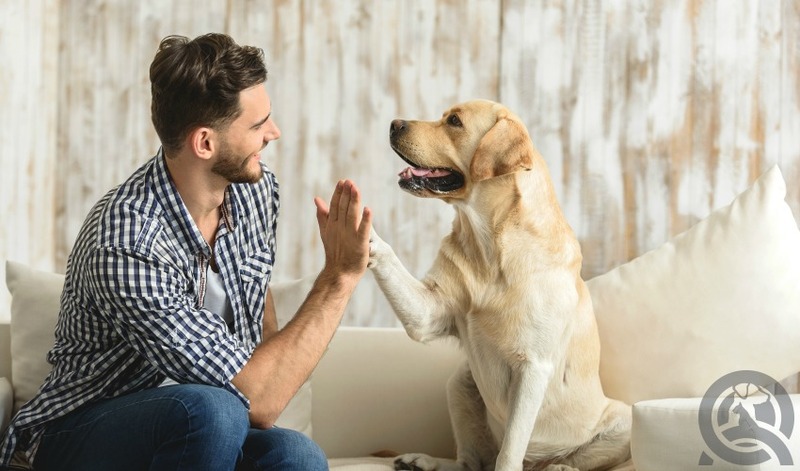 Human behavior and dog behavior aren’t so different after all! Another thing to remember is that you don’t want to constantly pause the groom. 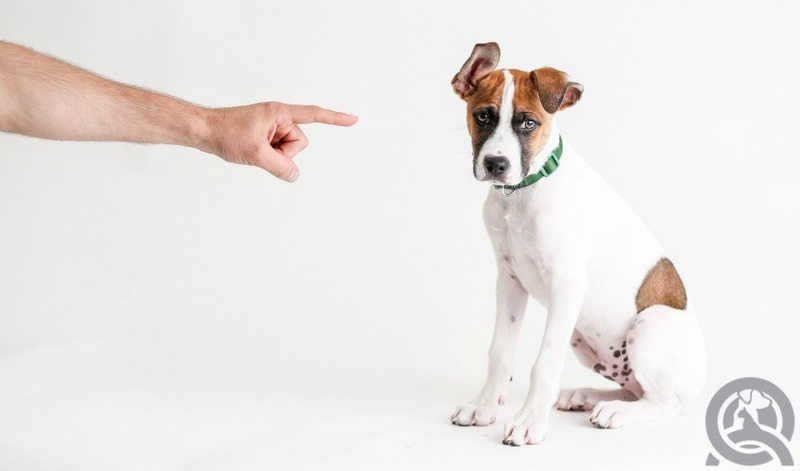 If the dog is having behavioral issues, constantly pausing will only prolong the process and make it more difficult for you to move on to other dogs. For example, if the dog is frightened by the sound of the clippers, don’t turn them off. Lisa recommends leaving them on and holding them at a distance from the dog. Run a hand over the hind quarter of the dog and have this conversation in your head with the dog. You can start clipping once the dog becomes comfortable with the sound. Have you ever worked with a difficult dog? Let us know in a comment! Stay tuned for Part Two of Lisa’s advice for dealing with difficult clients later this week! In the meantime, learn how to handle bad reviews!